The new poster for the movie "The Theory of Everything" shows Stephen Hawking and his first wife Jane. A new poster for a Stephen Hawking biopic set for release later this year celebrates the love and scientific theories of one of the most well known cosmologists ever. "His mind changed our world. Her love changed his." The movie follows Jane and Stephen's relationship. They first met when studying at Cambridge University in England, and the renowned physicist was diagnosed with the motor neuron disease ALS (amyotrophic lateral sclerosis) shortly after their relationship began. The first trailer for 'The Theory of Everything' reveals what could be an emotional tale brought to the silver screen. In the 2.5-minute trailer, Jane is seen taking care of Stephen as he slowly loses mobility. He was only expected to live for two years after diagnosis, yet Jane stuck by his side, in the trailer. "I love him, and he loves me," Jane (as played by Jones) says in the trailer. "We're going to fight this illness together." Hawking graduated from Cambridge and went on to become one of the most famous physicists of all time, changing the way that scientists understand black holes, space and time. At the age of 72, today, Hawking uses a speech-generation computer program to communicate, and he relies on a wheel chair for mobility. However, Hawking still conducts research and lectures about his theories. Jane and Stephen did eventually divorce in 1995 after getting married in 1965. They have three children together. 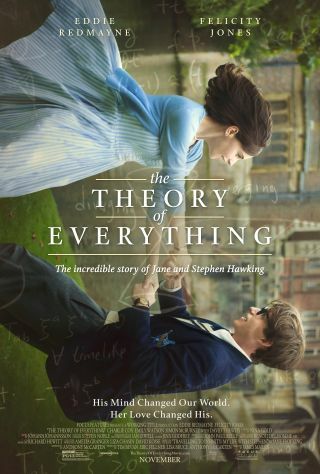 "The Theory of Everything" is based on Jane's 2007 memoir, "Travelling to Infinity: My Life with Stephen." The new biopic is set for release on November 7, the same day as another space-themed movie, Christopher Nolan's "Interstellar."